It is about 3 degrees here and I found a can of Trader Joe's Coconut Cream in the pantry. BOOM. Winter joy just got real. I wanted to create something free of dairy (it unfortunately doesn't agree with my stomach though I have fought for years to try to convince it otherwise) but if you don't have or want to use a milk substitute by all means go for the real deal, just please don't rub it in you lucky one. And dare I say I wanted to create something grown up... why should the kids get all the fun? The kids can keep their Swiss Miss; Momma's going to take a time out with this happy blend. It isn't all that sweet but you can of course add more sugar or your favorite sweetener if you fancy. I love the richness of it. And the fact that it also pairs perfectly with espresso. Or my personal favorite, whipped cream vodka. 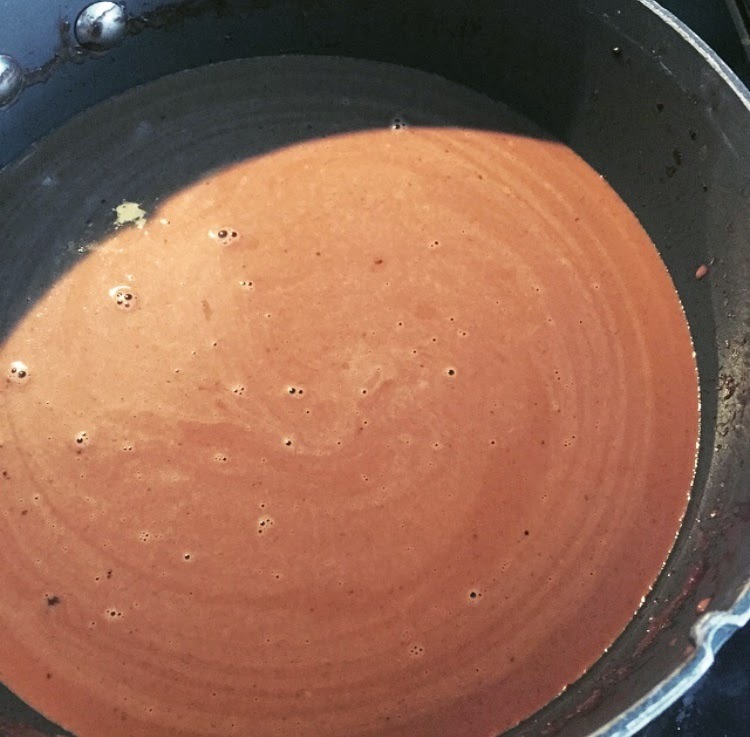 Pour coconut cream, almond milk, vanilla extract, cocoa powder and sugar in a medium sized pot over medium-low heat. Keep an eye on it and serve once it is thoroughly mixed. 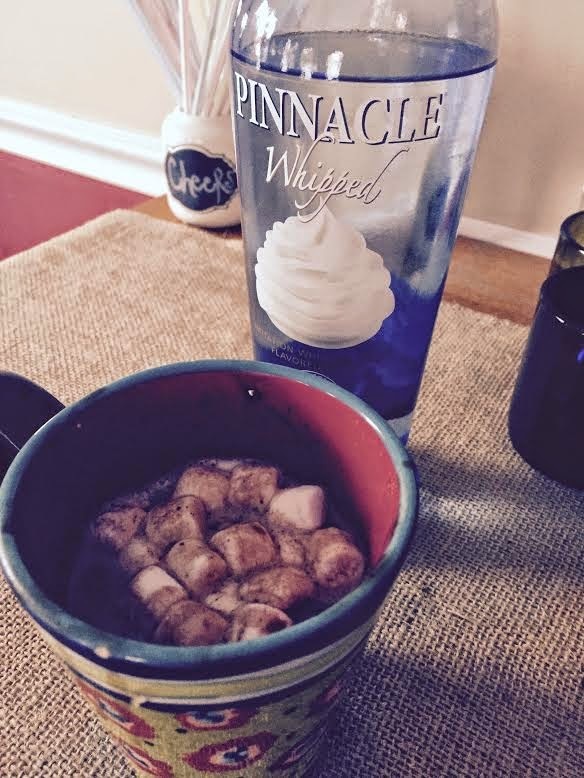 Feel free to add marshmallows, espresso or whipped cream vodka. Or all of the above. Mondays are for moderation, not Fridays. Or snow days. Oh winter you and I can get along after all.